Hod came into existence in 2007 and ever since then they've been gaining a steady incline of recognition and a solid fan base; even though they do seem to keep themselves out of the limelight. The early second quarter of 2013 saw the release of their second demo, and given the timeline history between their releases it was expected that we wouldn't hear from Hod again for another couple of years at best. 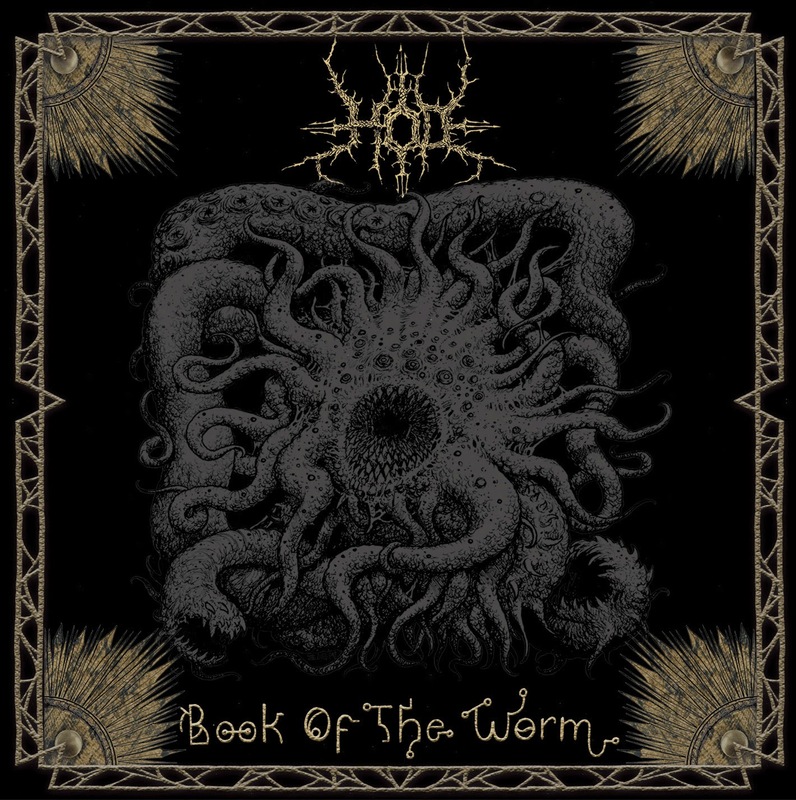 However, much to the surprise of anyone following their career, the Texan metalheads have just released their sophomore album, Book of the Worm. 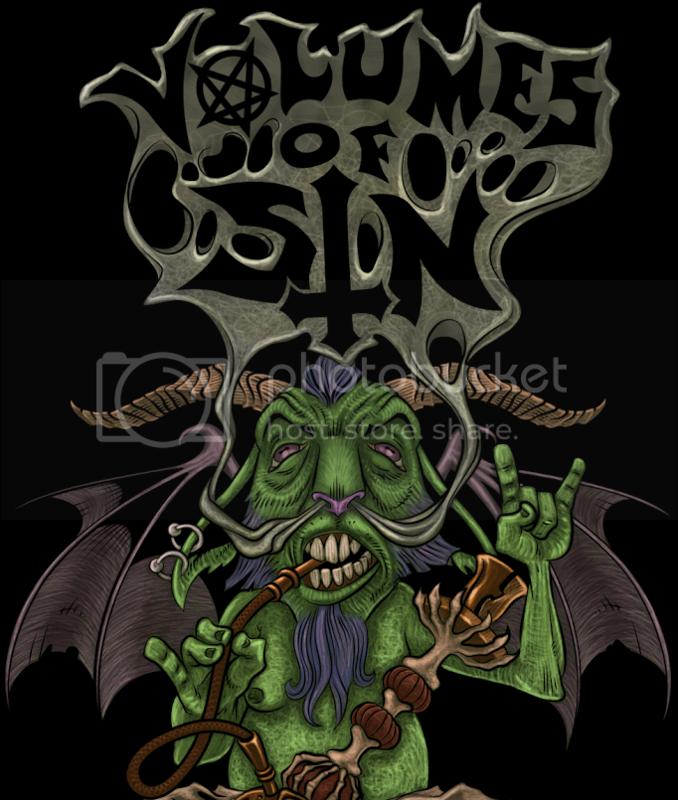 Anyone who read the Volumes of Sin review for Hod's Uncreated Demo (reviewed here) will remember the promising impressions that were given by it. The brief taste of new meat in the band's discography left listeners salivating for more, however it's safe to say that not many were expecting a follow up so soon; which makes Book of the Worm a tantalizing surprise. This second full-length album is a strikingly powerful release, catering directly to those who enjoy their metal rough, loud and fast. The three tracks that made up the Uncreated Demo make their way into this LP, which is just fine by us seeing as each of those tracks were strong on their own. An overwhelming production quality pushes the booming, aggressive nature of the material. There is an undeniable emphasis placed directly on the drums and vocals, both of which wrestle each other occasionally for the attention of the listener. Vocal barbarian Vladibeer Reebs rips through ones soul with unrelenting gruff commands, and incredibly he is able to maintain explicit annunciation so even the most lyrically challenged audience member can understand what's being said. Many choruses are growl-along essentials, especially the ones within "I Am Destroyer" and "Through the Gates (They Come for Me)". Vocals aside, "Through the Gates (They Come for Me)" is an overall gem of a track. Blast beats a'plenty, elaborate drum patterns, angry double bass kicks, quick picking sections, hard hitting riffs and mighty gutturals are just the beginning to this chaos-ridden lament; though the composure is truly what makes this song stand out, and words alone cannot do it justice; it just must simply be heard to be appreciated completely. Moving forward, for the entire duration of the content the drums maintain hyper-sonic speed; rapid blast beats, fiery gallops and full throttle rolls pummel through the background at terminal velocity, unforgivingly. There is an inordinate force behind the skins, and the audience are made to feel it through each purposeful hit; Dennis Sanders does an outstanding job of cementing his presence every second that Book of the Worm lasts, and his stamina behind the kit is something to envy. The content is extremely enthusiastic with plenty to offer, and it has an unbridled brutality that stands superior to any release so far this year; however, the architect of the compositions seem carry a uniform layout. The tracks generally start off with some hard hitting power chords, which progress into quick tremolos or lightning fast picking, followed up with blast beats and some more in-your-face riffing, with a solo added in for flavor. The tempo also sits at the 'as fast as you can go' setting for the largest chunk of material; although the album does take a different turn during "Under Tyranny's Hammer" when the band slows down slightly and unleashes a more relaxed, atmospheric solo. This is a brief, fleeting moment in the longevity of the album, but it does provide a slight rest for the listener. The rhythm guitar is a gritty surge of horsepower to be reckoned with; the defined distortion helps to emphasize its monumental brawn. 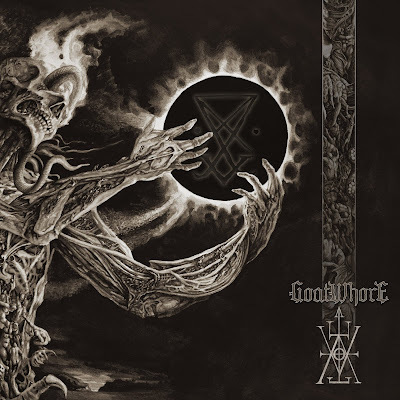 The main rhythms are made up of palm muted triplets fused with fast-picked bridges, and some use of tremolos are incorporated throughout the canticles to reinforce Hod's black metal ideals. Hod saved the best for last, as "Beneath the Mountain of Scorpions" is the most elaborate, intense, creative track overall; with ascending tremolos and sweeping descents for the guitar and firebolt drum rolls that transition seamlessly into advanced blast beats. Other worthy tracks to mention are "Death Whores" and "Den of Wolves" for their absolutely insane solos, and the loud, metallic bass presence within "When the Ghouls Feed". A stellar album worth headbanging to until your brain bleeds, Book of the Worm is a chaos driven hell ride of immense brutality. Hod have given their blood and sweat into creating the material, and it shows with the power behind each instrument. The only downsides to the content are the lack of alternating structures and the consistent cadence, and after a while each track begins to meld together. Hod may find benefits in varying the momentum of their tracks in any future releases. 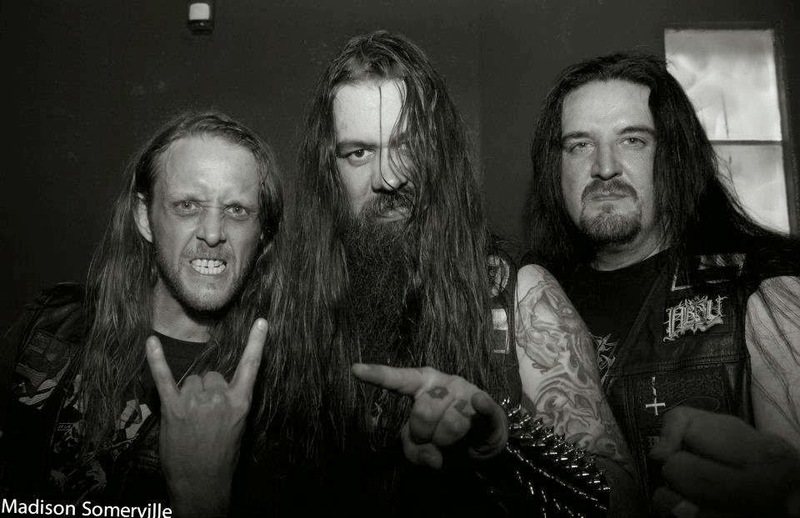 Otherwise, a definite must hear, these guys could be on the heels of Skeletonwitch soon.